The day has come for STIKOM The London School of Public Relations Jakarta to choose a new ambassador, after a year of service by Mr & Ms.LSPR 2010, Clarissa Tracy Priscilla and Ibnu Sulhan, the time almost come to an end. This Saturday, 9 July 2011, 20 finalists of Mr & Ms.LSPR 2011 who has been chosen as the representatives from 5 majors in London School; Public Relations, Mass Communication, Advertising, Marketing, Performing Arts Communication in addition the freshmen year of Business Studies department; will perform their best to charm the audience and judges in order to be the ambassador of London School. The finalists of Mr. & Ms LSPR 2011 have been equipped with a lot of lessons to improve their own values as a person which will also give an advantage for themselves for the Coronation Night such as table manner, class of Public Speaking, the self-presentation at cafeteria and the Pre-Pageant; Talent Show. Last Tuesday, 28 June 2011, the 20 finalists were all present at a talk show at Cafetaria Campus B in order to gather as many students as they could to vote for them as Mr & Ms.Favorite LSPR 2011. Last Friday, 1 July 2011 they join the Talent Show for the Pre-Pageant of Mr & Ms.LSPR 2011 which was held at Studio TV Campus B. Various talents were performed by the finalists; contemporary dance, singing, guitar-playing, poetry and other things. One of the finalist named Josua show his talent not only in singing and playing guitar but also in creating & arranging his own music. 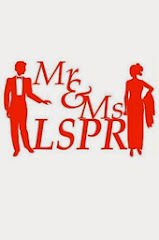 Who will be the next Mr & Ms. LSPR 2011? Come and support your favorite at the Coronation Night this Saturday at Prof.Djajusman Auditorium & Performance Hall.